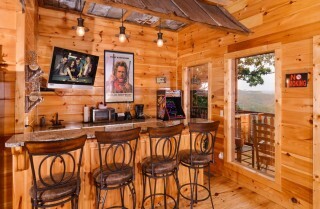 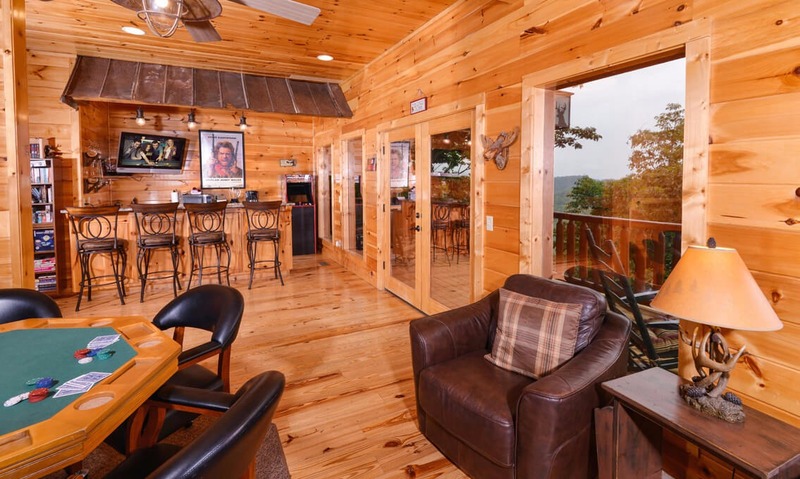 A luxurious pet-friendly 4-bedroom cabin outfitted with a wet bar, home theater, game tables, and stainless steel appliances in the kitchen, Deer Leap has everything you need for a comfortable and fun retreat to the Great Smoky Mountains. 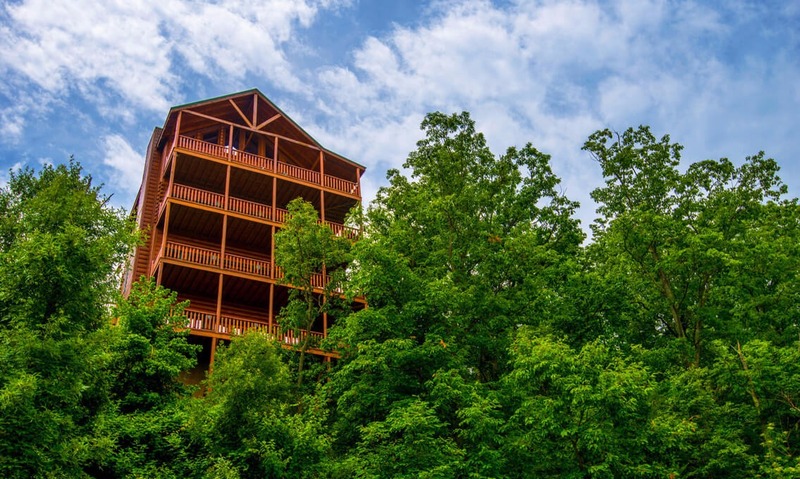 With room for up to 16 guests, 4 levels of decks, 4 1/2 bathrooms, cozy bedrooms, and lots of great living spaces, Deer Leap is great for a group getaway, whether it's a reunion, retreat, or vacation with family and friends. The list of amenities inside is seemingly endless, and the spaces outside are equally impressive. 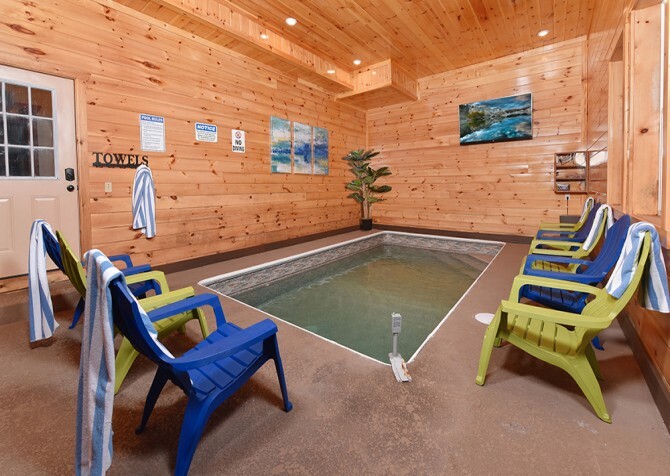 With the comforts of home and tons of fabulous games and entertainment, you could spend your entire vacation at Deer Leap – without leaving the cabin! Adding to its convenience, Deer Leap is just a few miles from downtown Pigeon Forge, so you'll be close to area attractions, shops, and restaurants when you want to explore the area. Comfortable leather seating sits in front of a gas fireplace in the cozy main living room of Deer Leap. 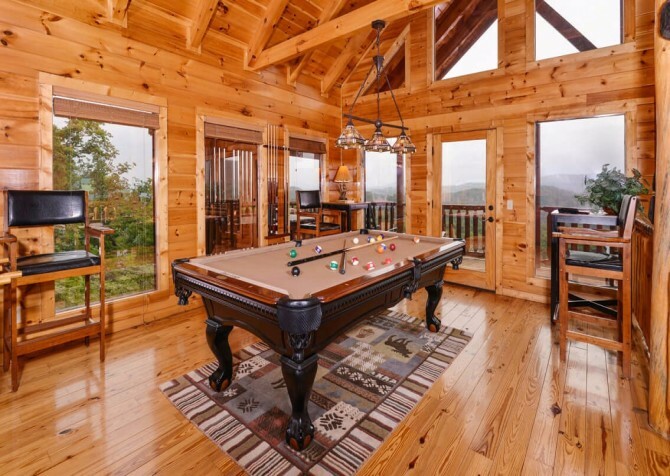 A peaceful place to rest and relax, the living room features a big-screen TV and a coffee table that's large enough for playing board games and card games. 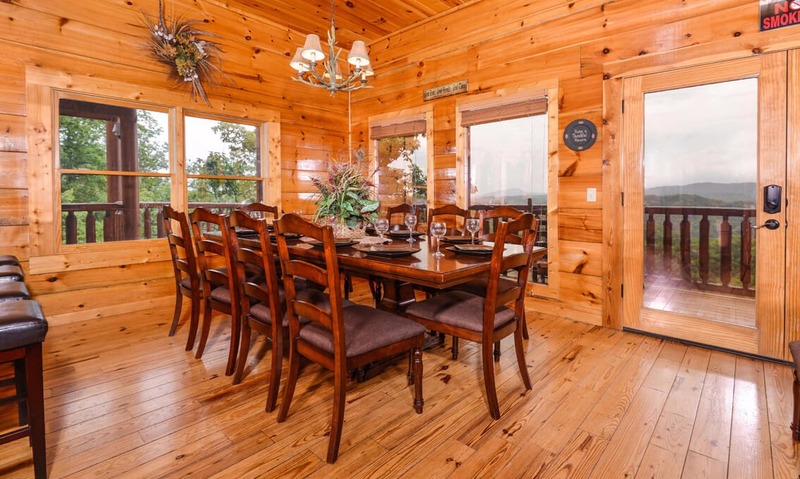 Open to the dining room and kitchen, the living room allows guests to chat and visit while dining, cooking, and relaxing. 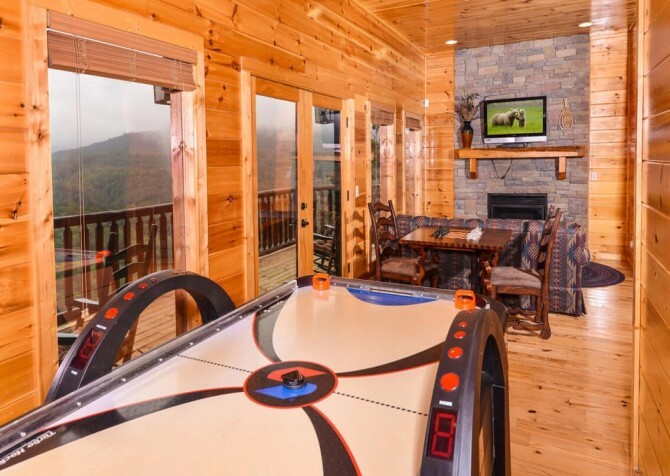 It's separated from the game areas, so it's the perfect spot for adults to enjoy some quiet conversation while taking in the fantastic mountain views through the windows. 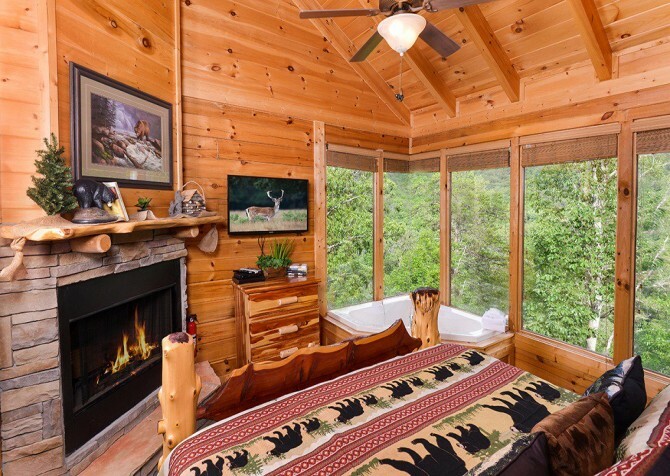 On those cool mountain nights, you'll love being curled up here in front of the fire while watching TV or getting lost in a good book. A luxurious space that any chef will appreciate, the fully equipped kitchen in Deer Leap offers the space and tools needed to make meals for groups in the cabin. 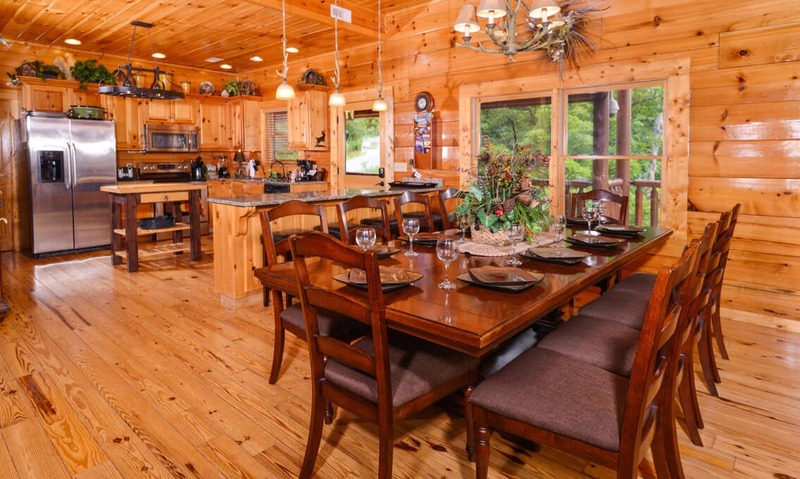 Whether you're wanting to save some money or you simply enjoy making your own meals, you'll find the dishes, utensils, glasses, and kitchen essentials you need here. 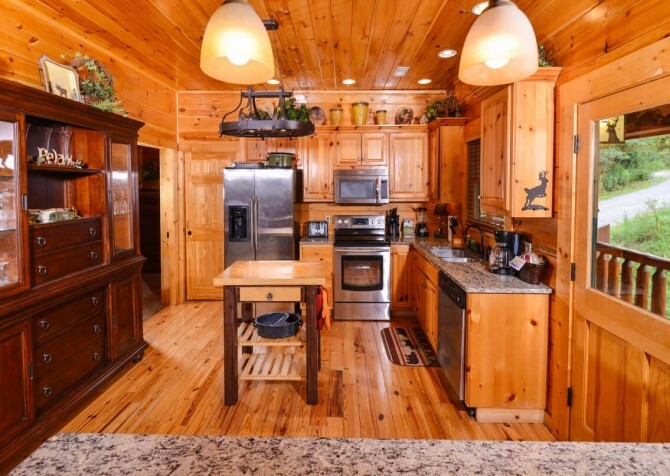 The stainless steel appliances pair perfectly with the warm wood cabinets and light countertops, creating an elegant space for preparing meals and snacks. There is plenty of counter space for prepping, and a small island offers even more space. 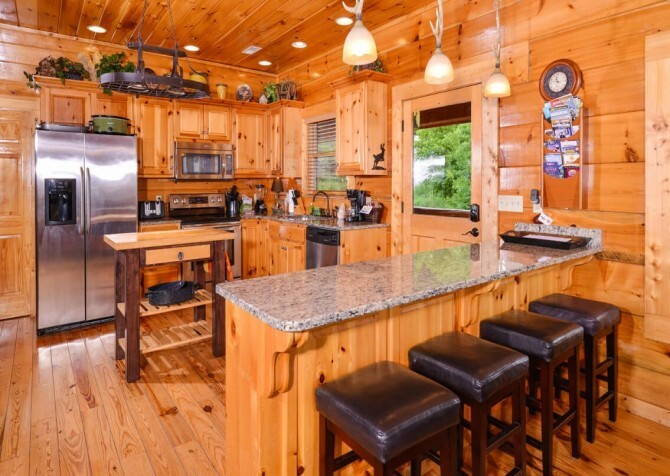 Kids will especially love having breakfast at the breakfast bar, or you can use it to set out a buffet of snacks for the days around the cabin. A lovely dining area with a table for 10 (plus extra chairs and seating at the breakfast bar) offers mountain views and a peaceful place to enjoy those meals you've worked so hard to create. Gather for family-style meals here, catching up and enjoying the company of the ones you love. If you want to enjoy a meal in the cabin but don't want to do the work, you can even order a meal from Savory Solutions by Chef Jeremy. They'll bring a personal chef to your cabin to prepare, serve, and clean up after a delicious homemade meal for any number of guests! 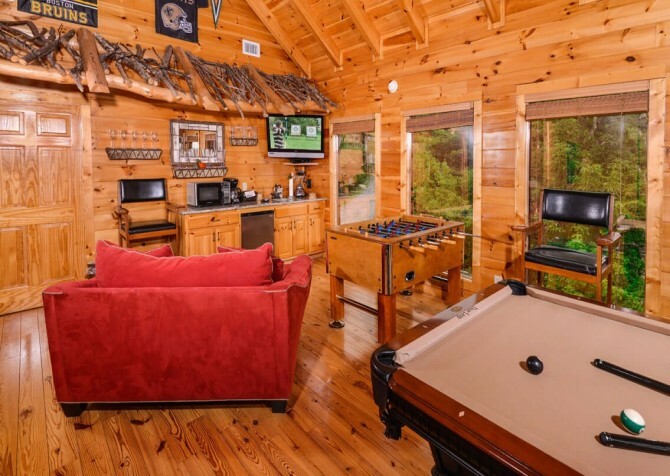 In the loft, you'll find comfortable seating, a TV, a pool table, a foosball table, and a mini kitchen area that adults will especially appreciate. 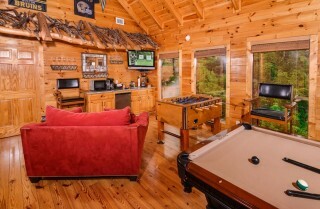 Outfitted with glasses, a blender and coffeemaker, counter space, and a mini fridge, this space is great for keeping snacks on hand or making up some cocktails while playing a few rounds of pool and watching the ball game. 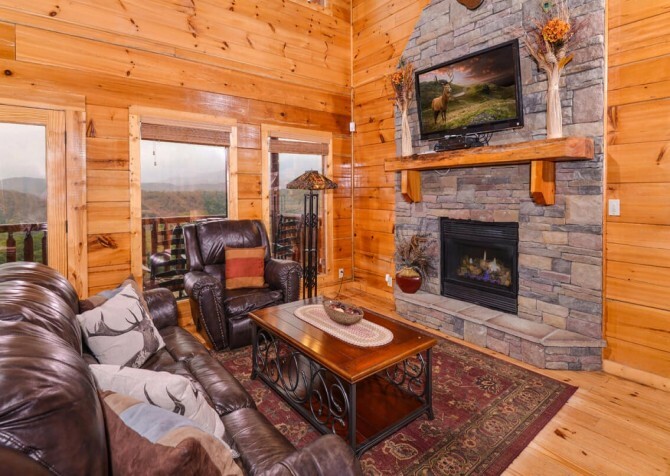 Guests will spend hours just hanging out and relaxing in this cozy area. 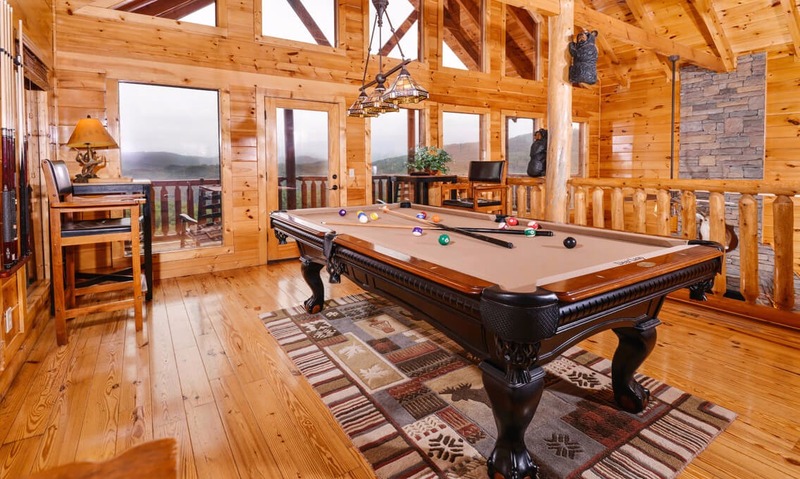 Decked out with everything you could want in a rec room – TV, bar stools, a poker table, comfortable seating, a wet bar, an arcade console, and more – Deer Leap's game room features fun for all ages. 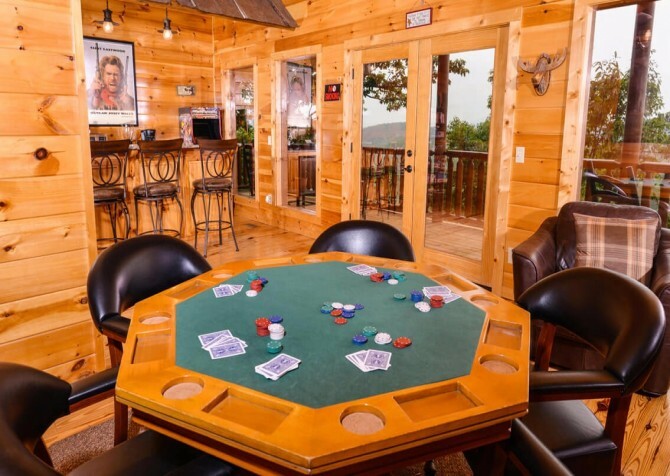 Set out a spread of your favorite snacks at the bar, make drinks while watching the ball game, or let the kids watch their favorite movie as the adults play some poker and chat. 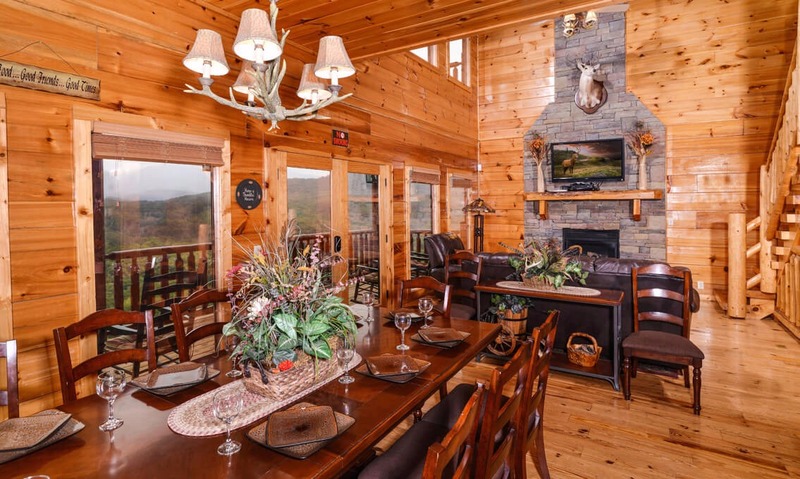 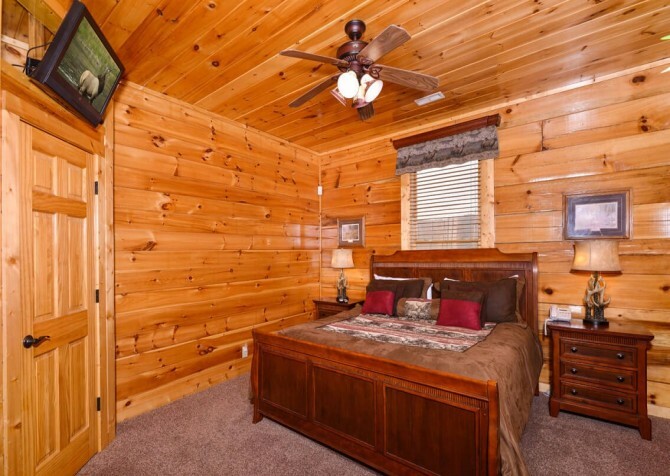 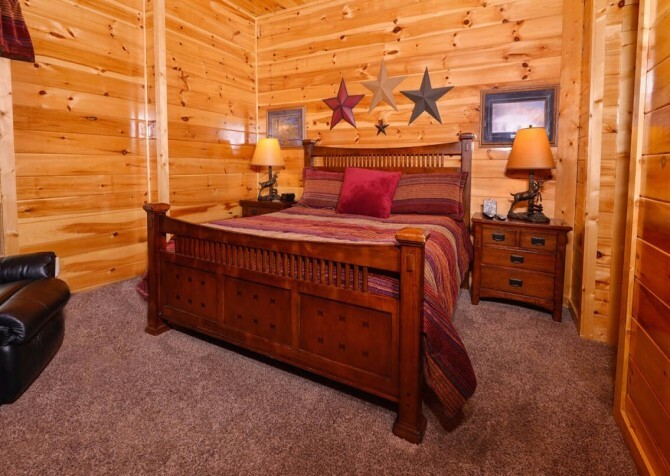 On the days you just don't feel like leaving the cabin – whether it's too hot, too cold, or rainy – everyone will appreciate this spacious and beautiful room that features more of those gorgeous Smoky Mountain views. 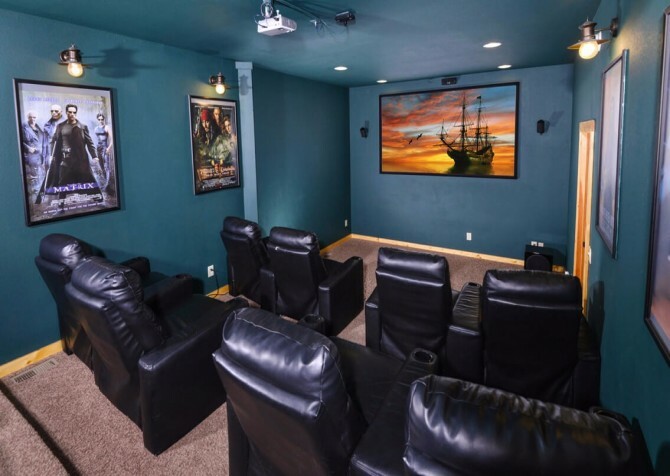 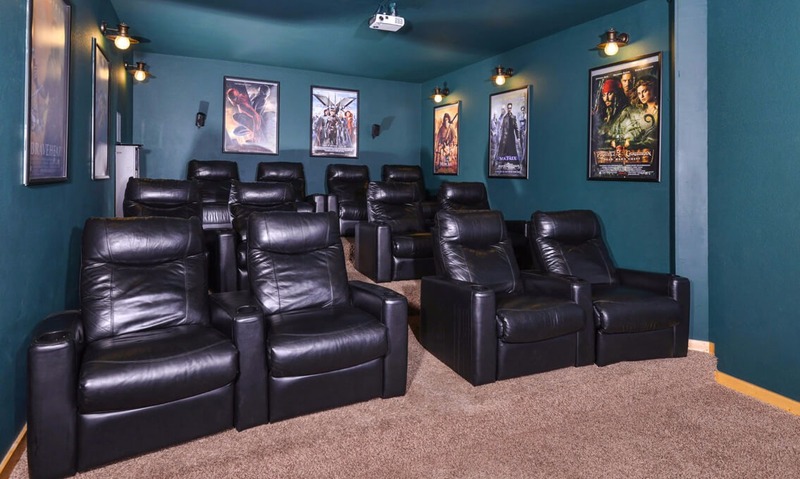 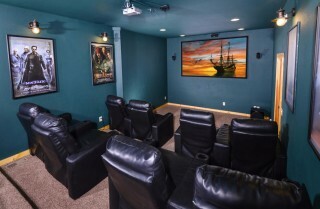 With a huge movie screen, leather seating for 12, several lighting options, and fun movie posters, the private home theater will give you the ultimate movie-watching experience, sans sticky seats, talking kids, and spilled popcorn on the floors. Bring along your favorite movies to enjoy in this awesome room that both the kids and adults will love. Don't forget to pop some popcorn, grab a soda, and get your favorite movie snacks to make a night of it. After long days downtown or fun afternoons playing in the cabin, each guest will have a comfortable place to retreat to at night. 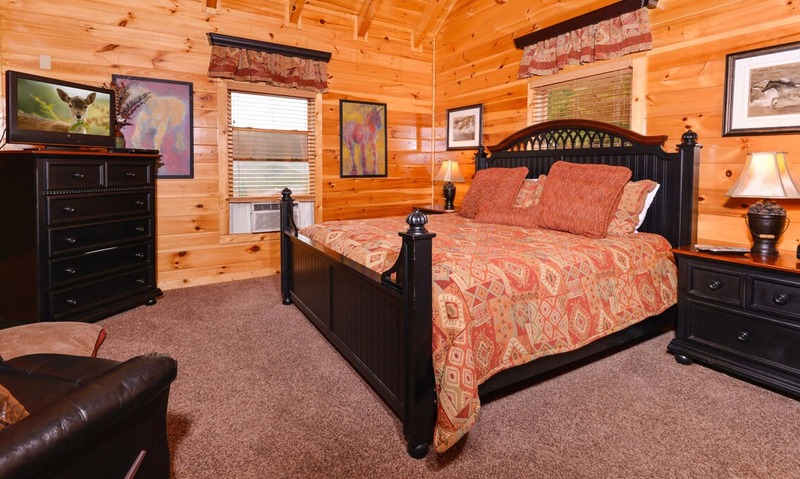 Each bedroom is beautifully decorated with comfortable bedding and stylish furnishings. 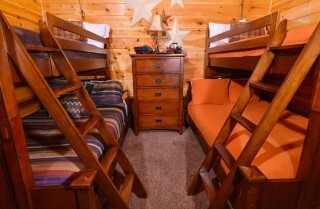 Three bedrooms have king-size beds, and another has two twin-over-full bunk beds – perfect for the kids. Best of all, each bedroom has its own TV, so even with 16 guests, there will be no fighting over the remote. 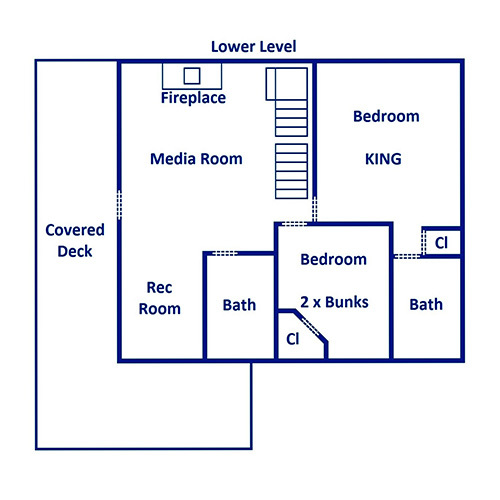 If you need more sleeping space, you'll find a queen sleeper sofa and a full-size sleeper sofa. 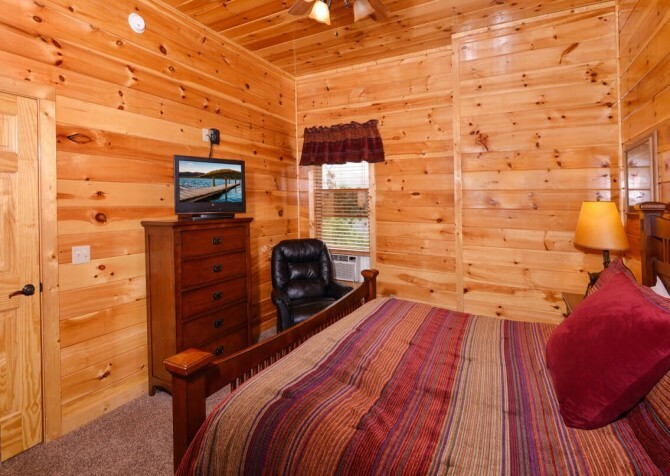 This is plenty of space for everyone to spread out and unwind, getting that much-needed rest on vacation. Not to be outdone by the beautiful interiors, the exterior spaces at Deer Leap are gorgeous and equipped with plenty of amenities. 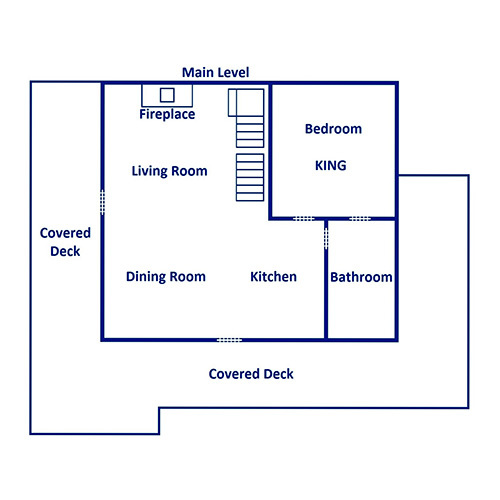 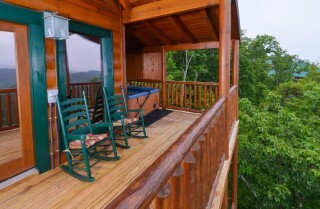 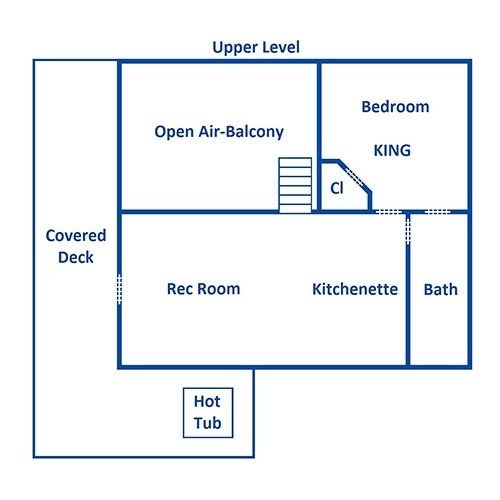 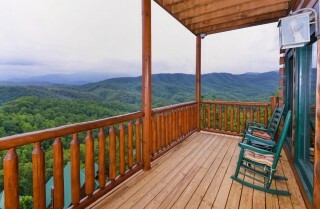 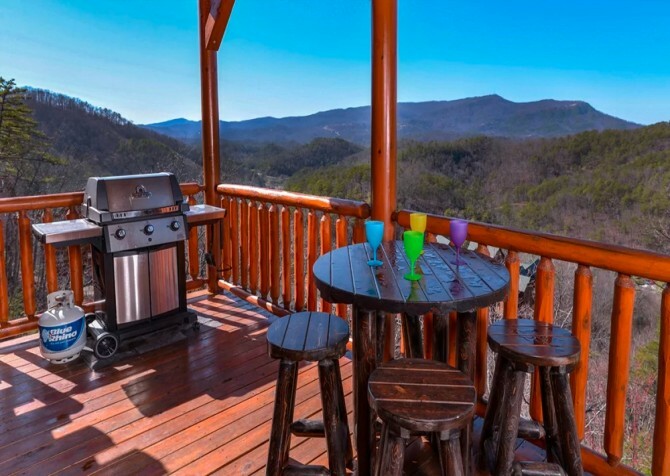 There are four levels of decks for guests to spread out on and enjoy the fresh mountain air and Smoky Mountain views. 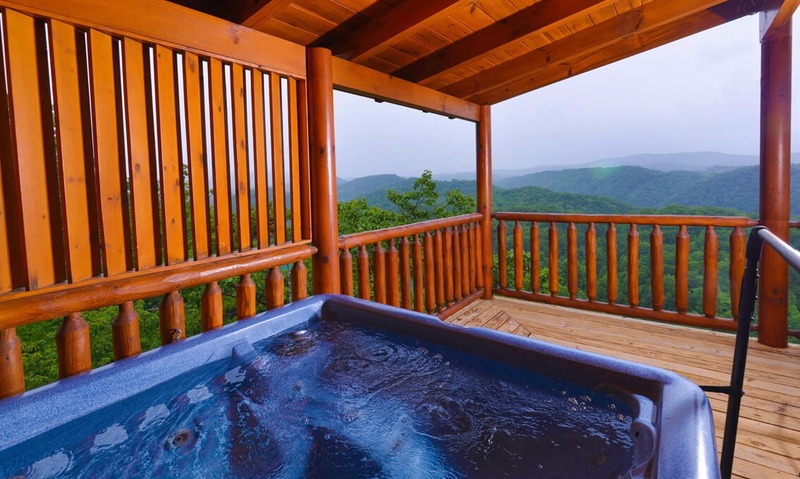 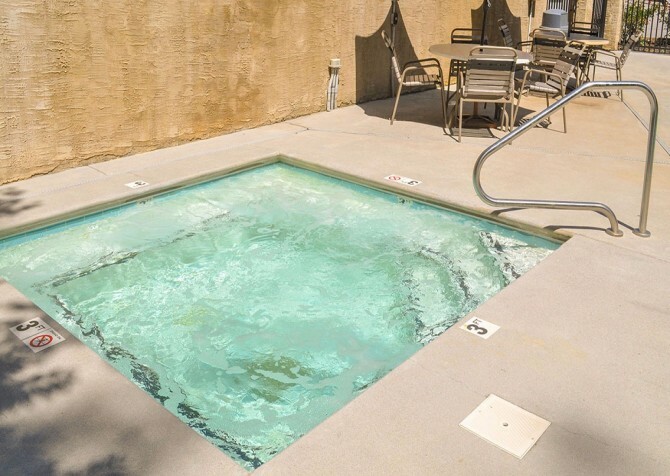 You can enjoy the covered outdoor hot tub year-round, and you can sit back in the rocking chairs with a cup of coffee or a glass of ice-cold lemonade. 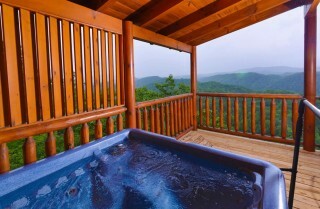 As you relax, let the sounds of nature wash over you and enjoy some of the best Smoky Mountain views you will find! 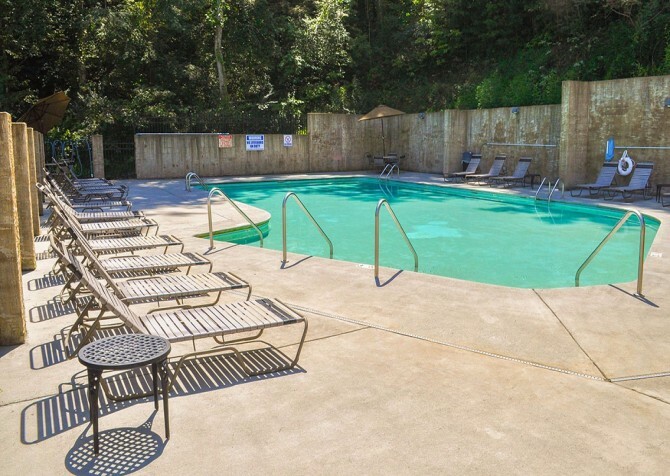 Not short on conveniences and comforts, Deer Leap also boasts high-speed wireless internet, which is great for looking up area attractions and upcoming events during your stay. 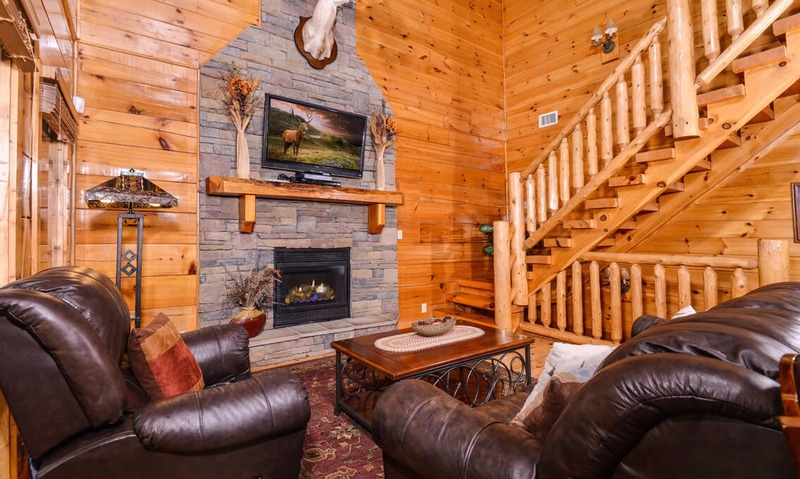 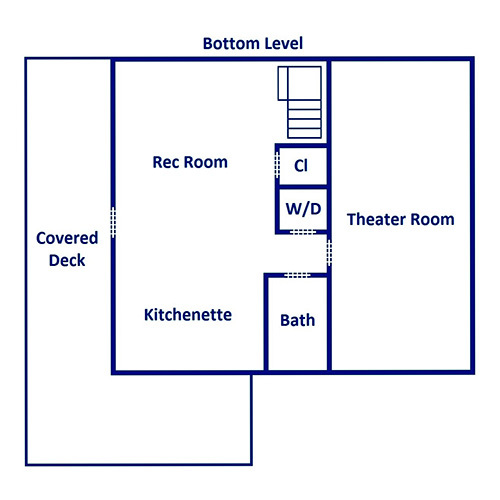 In the cabin, you'll also find a DVD player and an indoor jetted tub, as well as another cozy living space with a sofa, TV, and fireplace, a chess table, and an air hockey table! 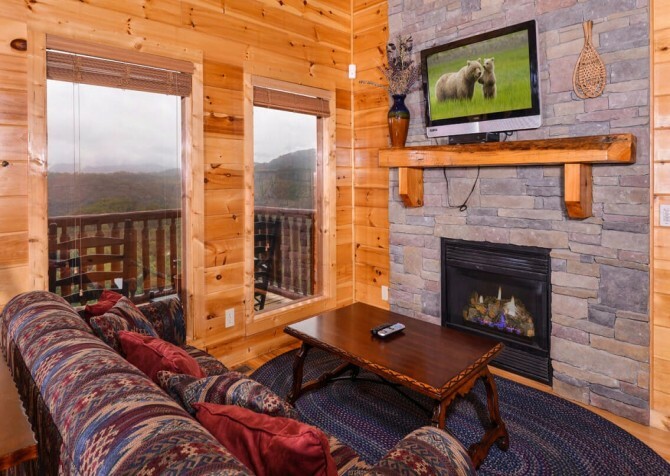 Want some entertainment outside of the cabin? Take advantage of the community pool access during your stay. Watch impressive horse stunts, listen to country music, and chow down on a hearty Southern meal at Dolly Parton's dinner show in downtown Pigeon Forge. With dozens of shops, games, kiddie rides, restaurants, and an incredible water show, The Island in Pigeon Forge is a one-stop-shop for food and fun for all ages. 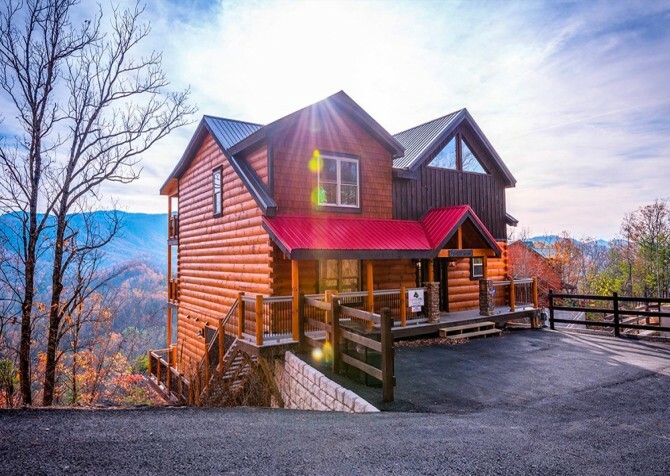 One of Pigeon Forge's most popular breakfast spots, Flapjacks serves up all the classics – eggs, bacon, sausage, French toast, and of course, fluffy stacks of pancakes! "We stayed in Deer Leap for a weekend. 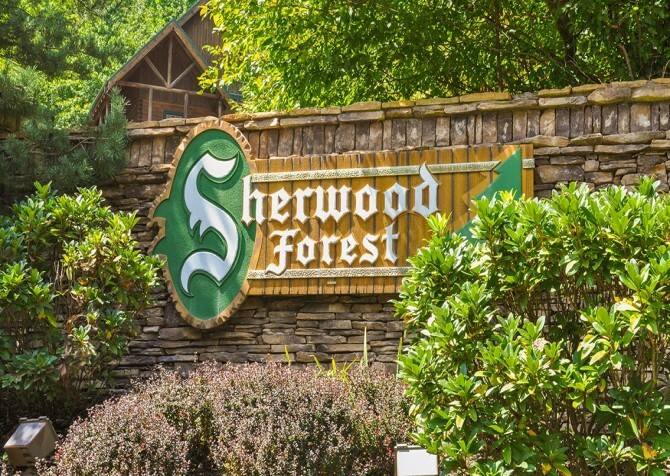 We couldn't have asked for a better experience! The views from this cabin are amazing! The cabin is as good, if not better than, the pictures. It was very clean, the kitchen was stocked with every type of cookware you could ever need, all amenities were functioning, etc. We will definitely be returning to Deer Leap in the future and recommending it to others! Thank you for a great stay!"